They would laugh at the idea of learning about a forest in a text book, for example. “You learn about trees by making them into pulp and defacing them?” they would say. “Go and marvel at the willows!” By enveloping the subject into the object, the Zen masters solved a very distressing epistemological problem: how do you know that which is other than you? “By dancing with it,” they would say, for with participation comes unity, and with unity comes understanding. Thus the common phrase of “being in zen”: when acting without prejudice or distracting thoughts, totally enraptured by your surroundings, amazing grace and precision can go into any task. I think this philosophy sheds a brilliant new light on modern alienation, and transcends all esoterica. Throwing out the tradition of using symbolic mediums to teach about the spirit was the true revolution of these great thinkers. Statues and crosses, after all, are merely fabrications. They are products imposed on matter by the human mind, and too often they spur the decay of religions into arbitrary, systematic traditions that confound seekers of truth. What truly satiates the soul are revelations felt to the depths of one’s being, free of dogma and idolatry. The stone and wood from which crosses and statues are carved is far more God-like in its original, unaltered state. Each raw stone holds more religious insight than any pentagram or crucifix. Like the ancient waters it has followed its path without complaint or resistance since the earth was conceived, and its adherence to the laws of nature is perfect. It tells no lies, it knows no corruption, and it is a flawless mirror of the whole cosmos. Rugged yet gentle. Firm and yet yielding to the elements. Its contours aligning with all its surroundings, since it has been in unbroken concert with them since the beginning of time–the whole of the universe conspiring in its formation, and in its formation the whole of the universe. So it is throughout nature. The wind throwing about apple blossoms, a herd of teeny white bugs leaping through the grass, spring water trickling down a cracked rock face… all communicate their totality perfectly and genuinely. The medium of religious symbols takes years to master, thus necessitating the “inner circle” mentality which creates religious (and ultimately social) hierarchy. But Zen is truly medicine for the people. Inherent in its philosophy is the belief that all living things are at once free and interdependent. This is a paradox resolved by realizing that we are all manifestations of the same energy. While freedom from something means lack of attachment something, you can’t detach yourself from that-which-detaches, your most essential self, which is spirit. So by embracing the all-pervasive life force you attain both essential freedom of utilizing that energy and knowledge of your ultimate dependence upon its breath. 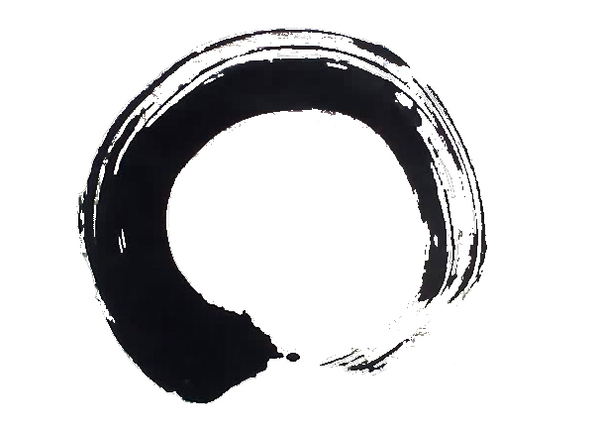 This is why Zen stresses anarchistic equality, and holds the heart of any being as the ultimate moral compass: if all is one and one is all, how could one stand above another? By far it is the most appropriate method of enlightenment for those interested in primitivism, and quite possibly the most succinct way of expounding on the spirit ever devised on this earth. That is, apart from silence and bird songs. This short anthology will begin with two famous Zen stories. These stories are meant to be meditated on, and their significance will blossom and bloom through your every-day experience. If you hold them in your mind, their gifts will reveal themselves again and again in your life. Just trust me. After those, a collection of some timeless Zen poems with brief biographies of their authors. As for these, don’t chew them too hard or you won’t get the juice. And finally, a few stories and poems which I wrote myself. Enjoy them, and enjoy the day for chris’sake. “Yes sir,” replied the writer. This seventeenth century Edo poet was a master of the haiku. Although praised among Japan’s poetry elite, towards the end of his life he grew withdrawn and reclusive until adopting the practice of karumi, or lightness, in which you meet the mundane world with open arms. His poetry reflects the many moods of nature, from the silly to the poignant. The first poem below is considered his farewell poem, expressing the continuing journey of his spirit after death, and the common bond of passing on which all living things share. Ikkyu was the original beatnik. He worked to live Zen outside of any organized institution, believing that life itself is the great tradition and teacher instead of any idol dedicated to it, as reflected in the poem below. In his later years he was a vagabond, often drinking in excess and appalling the intelligencia with his brash attitude. Bless him. Ryokan is my favorite Zen poet. He lived most of his life as a hermit and wrote some of the most magnificent verse ever about simple pleasures and natural beauty. Like all the best Zen poems, these speak for themselves, directly to the heart. A 10th century poet. I think this poem expresses wonderfully the full circle of enlightenment. The Druids held the oak tree sacred, in part because it can withstand lightning strikes. This metaphor for withstanding the blast of spiritual enlightenment while staying firmly rooted in the world is the essence of this poem. At the end of the day, although we may fly on the eternal wings of spirit, we always must land here and now, in the home of our bodies, in our home of the beautiful earth. the time before I was born of my parents. Founder of the Soto school of Zen, he was often critical of the dogmatic teaches he found both in China and his homeland of Japan. The Butterfly Catcher set out one spring to catch a legendary butterfly, each wing as big as your hands and a blue so pure that you can’t even see it when it flies against the sky. After days of silent waiting, the Butterfly Catcher spotted his target. He chased it for many weeks more, across furious rapids, up treacherous mountainsides, through dense, tangled forests. But he was always a step behind. Every life-threatening peril that he had to navigate with the utmost courage and care, the butterfly merely sailed over serenely like a flute’s song riding the wind. Finally he caught up to it in a meadow. He tried to creep up on it but grew impatient and lunged forward. The butterfly flew up immediately and burst into a swift, spasmodic flutter. Swinging his net after it wildly, trying to out-maneuver its aerial acrobatics, he wasn’t watching where he was going and ran right into a fencepost. When he recomposed himself and caught his wind, he saw that the butterfly was just out of reach on the other side of the fence. A sign on the fencepost read, “Trespassers Beware,” and he could see smoke rising from a nearby chimney. The Butterfly Catcher was befuddled. He had risked life and limb crossing uncrossable rivers and climbing unclimbable mountains but now one rickety fence was holding him back from his prize. He sat before the barrier for many hours, contemplating its magic until the moon rose high above them. The butterfly shone in its light just out of his reach, lifting its wings suddenly and then lowering them, as if surprised and then at ease, the way that butterflies do. A wise man and his friend came to the coastline of the Pacific. The other walked down to the shore and scooped up a little pool of water in his palm. He smeared it across his hand with his fingers until it disappeared. “How big do you think it is?” he asked. people say, what are you doing? came from old man Incognito. and warm as the day. Nothing but nothing never changes. I come to no conclusions. when it sets into the sea. searching with the gentle wind. I spoke to it in coughs. This entry was tagged anarchy, anti civilization, buddhism, god, nature, parables, poems, poetry, spirit, spirituality, stories, symbolism, zen. Bookmark the permalink.